2 Phenomenal Tenors from Ko’olau! Much of Noa’s building knowledge simply came from growing up at Kitakis stringed instrument repair. He was changing tuners and strings at 10 years old. As a teenager, he was already doing warrantied Martin neck-resets. Later, Noa attended schooling in Michigan with Dan Erliwine, and a few years after in California with Charles Fox. He had a passion for building. I remember him reading Guitar Maker magazine late at night and thinking up new ideas for jigs in his head. Noa has studied and personally experimented with different tools, techniques, and materials. At the foundation of all great artists and craftsman is this pursuit of mastery. I have witnessed it first hand consume him and now am able to witness the results. Abe Lagrimas Jr. – The greatest Jazz Ukulele player – ever! Abe’s tasteful yet exciting melodies move through bright and thoughtful lines into a flury of emotion and expression. The pure musical gift this young man has along with the fat tones of his tenor Ko’olau make this live performance a wonderful reminder of the infinite capabilities and applications of this small instrument. Abe maintains a warmth and fullness in the high register where guitar often gets thinner sounding. The tone Abe gets here is an ideal Jazz solo tone. Guitar players should recognize the advantages to the voicing of an ukulele! This wood is also called Pheasant wood because of it’s grain and colors resemblance to the Hawaiian pheasant. This beautiful piece was from a tree here on Oahu. It is a rare and expensive wood that Ko’olau has been using, when available, for over 10 years now. 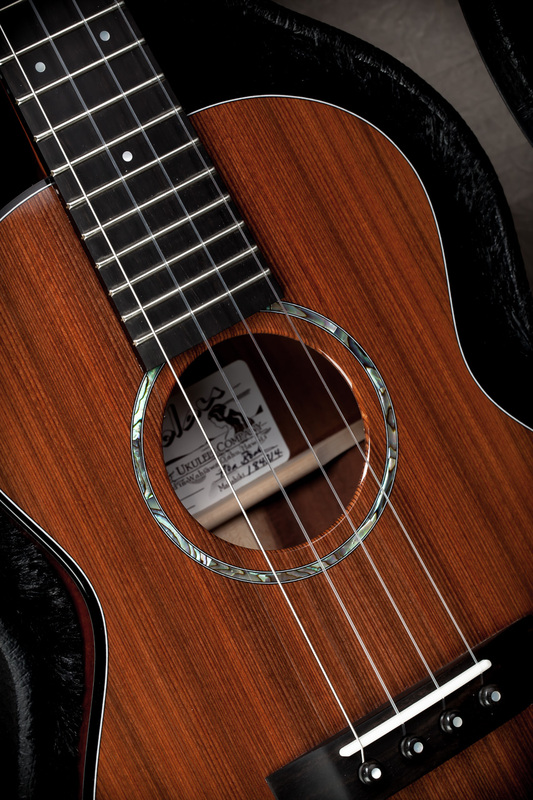 The Ko’olau ukulele company is putting out professional level Hawaiian made ukuleles that sound and look great, and now are more affordable than ever.